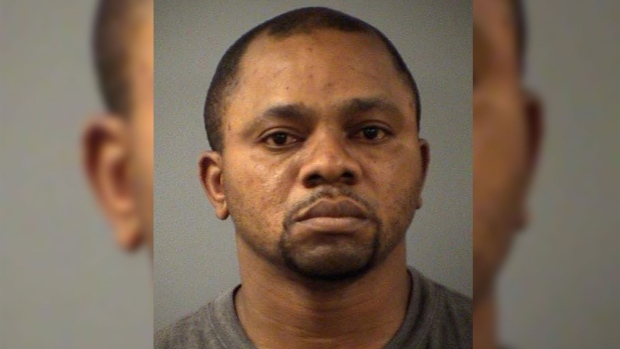 SASKATOON -- A man who pleaded guilty in the United States for his part in a human smuggling operation has been arrested and charged in Canada. RCMP say Victor Omoruyi of Regina was picked up at the Saskatoon International Airport on Tuesday. He is charged with one count of human smuggling and one count of aiding or abetting under the Immigration and Refugees Protection Act . Omoruyi was granted bail during a hearing in Saskatoon provincial court Wednesday. He is to appear in Estevan provincial court on Dec. 4. Police say the charges stem from an investigation into nine Nigerian citizens and asylum-seekers who were intercepted while crossing into Canada from North Dakota last April. Omuruyi was deported from the U.S. where he pleaded guilty in a North Dakota district court last spring to transporting an illegal alien. He was sentenced in August to six months in jail. He could face a fine of up to $500,000 or up to 10 years in jail for a first offence if convicted of the human smuggling charge in Canada. His wife, Michelle Omoruyi, also faces charges of human smuggling and conspiracy to commit human smuggling. Court documents signed by border agents say Victor Omoruyi was arrested April 14 after an SUV was stopped south of the North Dakota-Saskatchewan border. The documents say Omoruyi entered the U.S. that afternoon and told border officers he was going to meet friends and shop in Minot N.D. He said he planned to return to Canada the next day. They say authorities started watching him because they allege he was identified "as a human smuggler that has previously provided transportation ... for individuals who have then entered into Canada illegally." The affidavit details how border agents followed Omoruyi for several hours. At one point, five adults and four children left a hotel and got into Omoruyi's vehicle, the documents say. The SUV stopped for gas before heading north toward the border, at which point a U.S. border agent called the RCMP. The documents say photos of Omoruyi, his vehicle and his passengers were captured by border patrol surveillance cameras in an area of open farm fields near the border. 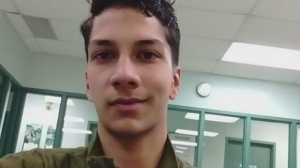 The documents say an RCMP officer saw the nine passengers walk north, through an open field, to Canada and make it to a vehicle waiting to pick them up. Authorities say the SUV then met with a sedan before officers stopped the SUV and arrested Omoruyi, along with another Canadian and a Nigerian citizen. The Canadian is identified as a woman named Tosin Johnson, who was born in Nigeria. The Nigerian citizen is a man named Success Okundia. They were both charged by U.S. authorities with illegal entry. Michelle Omoruyi was also charged last spring. RCMP said at the time that a woman was stopped April 14 on the Canadian side of the border between the North Portal and Northgate crossings, the legal entry points into Saskatchewan from North Dakota. Police said nine people from West Africa were in her vehicle. They were processed by the Canada Border Services Agency and were released into Canada. All nine made refugee claims.